Football is the most popular sport in Thailand Almost all Thai’s of both sexes tend to support a European team as well as a Thai team. The most popular league is the English Premier League (EPL) whose matches are all shown live on local cable networks. The most popular teams are Liverpool and Manchester United though Arsenal, Chelsea, Manchester City, and Leicester City also have a following. This popularity has also extended to club ownership with Leicester City, Reading, and Sheffield Wednesday all owned by Thai’s. 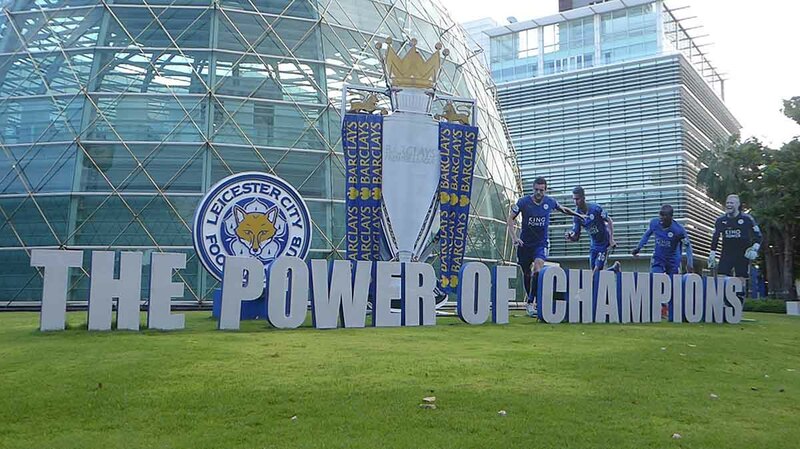 In fact, Leicester City who are owned by Thailand’s largest duty-free operator, King Power International were EPL champions in the 2015-16 season and even did a victory parade with the trophy in an open top bus through the streets of Bangkok. Bangkok is firmly on the pre/post season tour trail of major European clubs and Liverpool, Manchester United, and Chelsea are regular visitors to play exhibition matches as well as clubs from Spain, Germany, and Italy. The high-profile matches are held at the 65,000 capacity Rajmangala Stadium between May and August while less famous teams such as Reading and Sheffield Wednesday tend to play in the smaller Suphachalasai Stadium which is centrally located in the National Stadium complex next to the MBK shopping mall. The Thai Premier League (TPL) is the Thai equivalent of the EPL. It is a professional league comprising of 16 clubs with most of the games played on Saturdays and Sundays with a few being played on weekdays. Match times are usually 4, 6, or 88 pm The top teams are Muangthong Utd and Buriram Utd. 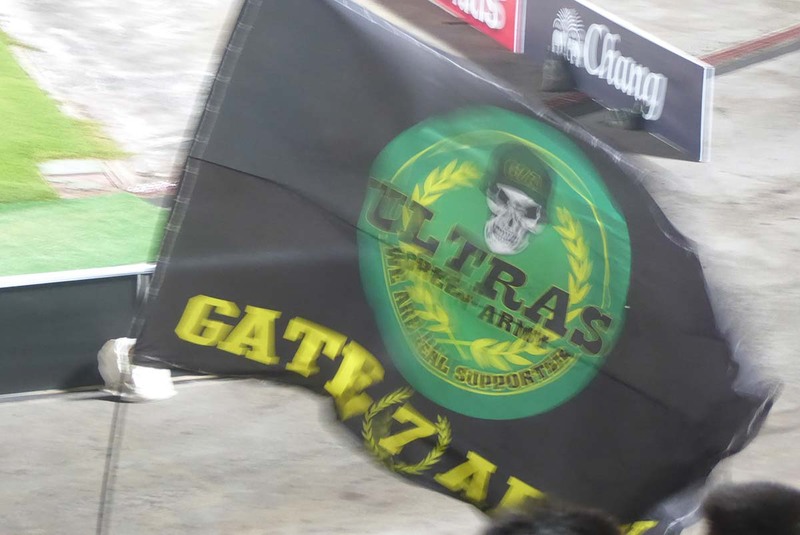 There are seven teams based in or close to the greater Bangkok area. They are Muangthong United, Bangkok Glass, Bangkok United, Police Tero, Army Utd, Port FC, and BBCU. If you are interested in attending a Thai Premier League match, Muangthong, Army, and Port are all easily accessible from central Bangkok. The season runs from March to October. 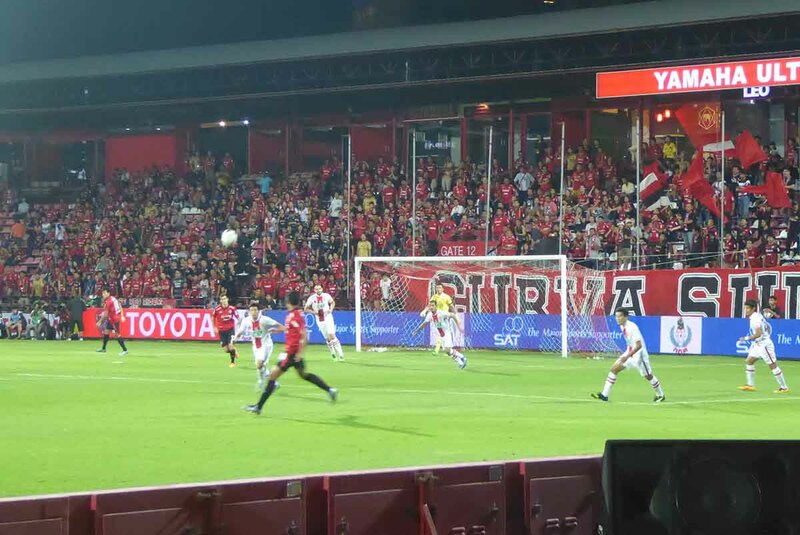 Muangthong United are one of the most successful and richest clubs in Thailand. They play at the SCG Stadium in the Muang Thong Thani district of Bangkok within the Impact Exhibition Complex. The stadium is all seater and covered on one side. There is no running track around the pitch which brings the action closer to the fans. 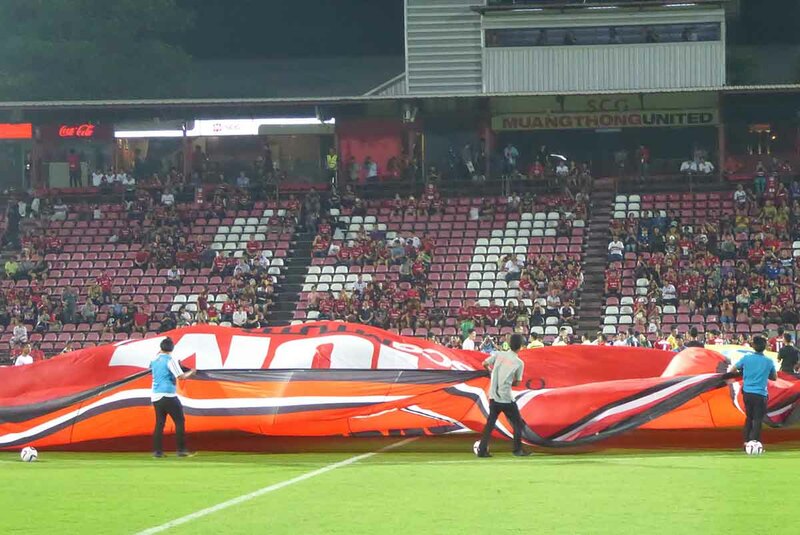 Muangthong has a large fan base with the core being the Muangthong Ultras who gather behind the goal in the Curva Sud stand and display banners, flags, and make a lot of noise using drums and megaphones. The team which once featured Liverpool legend Robbie Fowler has an International flavor with Spanish, French, Japanese and Brazilian players as well as several Thai Internationals. 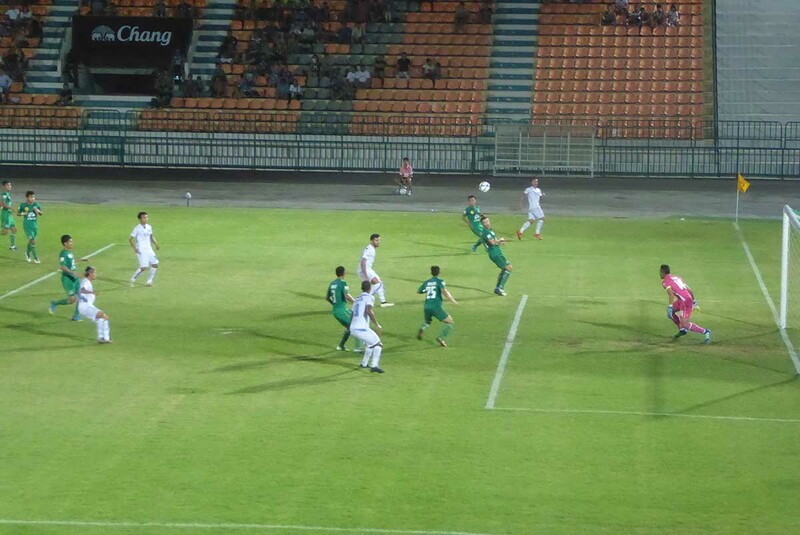 Grudge fixtures to watch out for are against rivals Chonburi FC, Bangkok Glass, Buriram FC and particularly Port FC. There are snack stalls and bars at the stadium and the Impact Exhibition Complex has several restaurants, fast food outlets and a Flan O’Brien’s Irish pub open until midnight with a convenient 4-8pm happy hour. Tickets can be purchased in advance from Thai Ticketmaster either online or from outlets. Online orders can be collected from the stadium box office on match day. There is a shuttle bus from Mo Chit BTS Station to the Impact or it’s a quick taxi ride from downtown Bangkok. Location: SCG Stadium, Muang Thong Thani, Nonthaburi. Getting There: BTS Mo Chit (exit 4), then Impact Shuttle Bus (30 baht) from the park and ride car park. A taxi from downtown Bangkok on the highway should cost no more than 200 baht including the toll-way fees. Army United play at the Thai Army Sports Stadium on Vibhavadi Rangsit Road which runs from central Bangkok out past Don Mueang Airport. The stadium has one covered stand while the rest of the stadium is uncovered terracing. There are stalls outside the stadium selling snacks and beer Chang (team sponsor) at cheap prices. 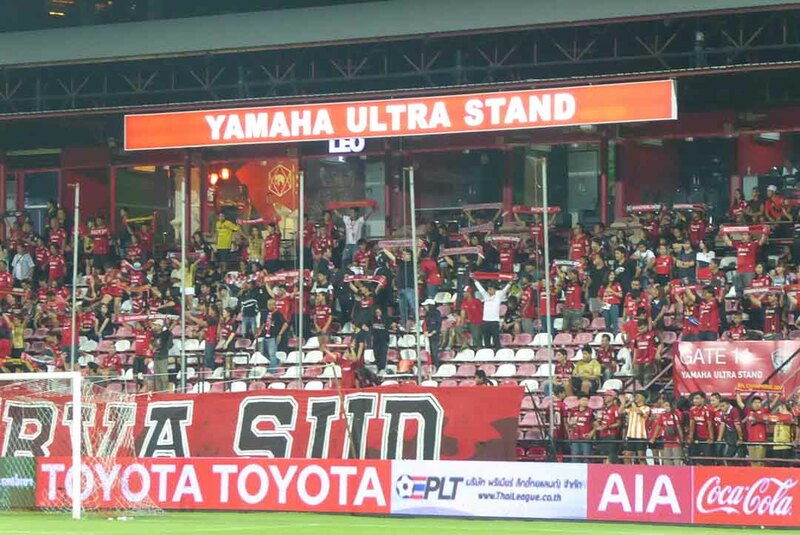 The team have recently been relegated from the premier league and are not as well supported as other Bangkok teams with a fan base of soldiers who are based at the army complex. 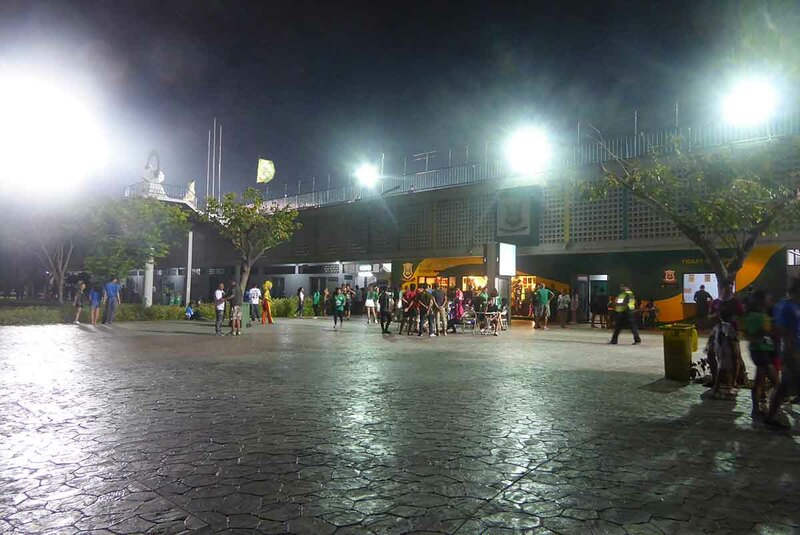 The stadium is very easy to access from central Bangkok by taxi (60 – 100 baht). Tickets are only on sale at the door on match day. Location: Thai Army Sports Stadium, Vibhavadi Rangsit Road, Din Daeng, Bangkok. Tickets: 100 – 400 baht. Rajamangala Stadium is the venue for International fixtures featuring the Thai national team and for visiting European super clubs. 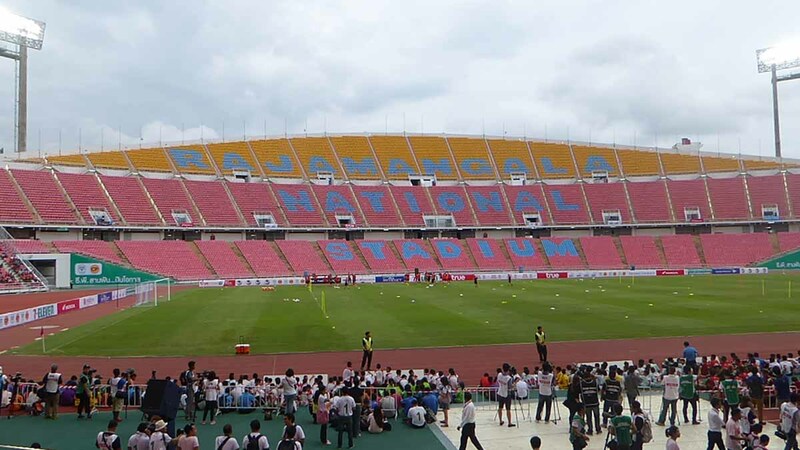 Tickets for fixtures at Rajamangala are usually sold via Thaiticketmajor. 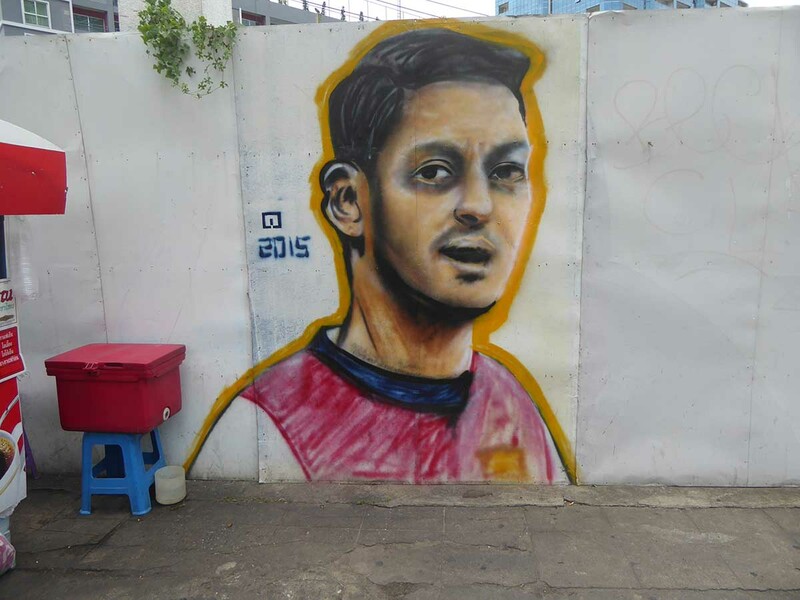 The stadium is in the Ramkhamhaeng district of Bangkok and getting there is not easy. You can take the Airport Rail Link Train and get off at Ramkhamhaeng station. From there, take Bus No. 71 towards Ramkhamhaeng University, you can get off right in front of the stadium. Also, you can take the Khlong Saen Saep Express boat from Khao San or downtown Bangkok and get off at Ramkhamhaeng University Pier. Then walk down Ramkhamhaeng Soi 43/1 and turn left onto the main road. The stadium is a 5-minute walk further on the right-hand side. This is the quickest and cheapest way. Traffic is heavy on match days so taxis are not the best option.